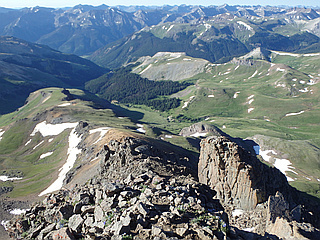 Wetterhorn Peak is Colorado 14er in the Uncompahgre Wilderness of the northern San Juan Mountains. Named after the famous Wetterhorn in the Swiss Alps. 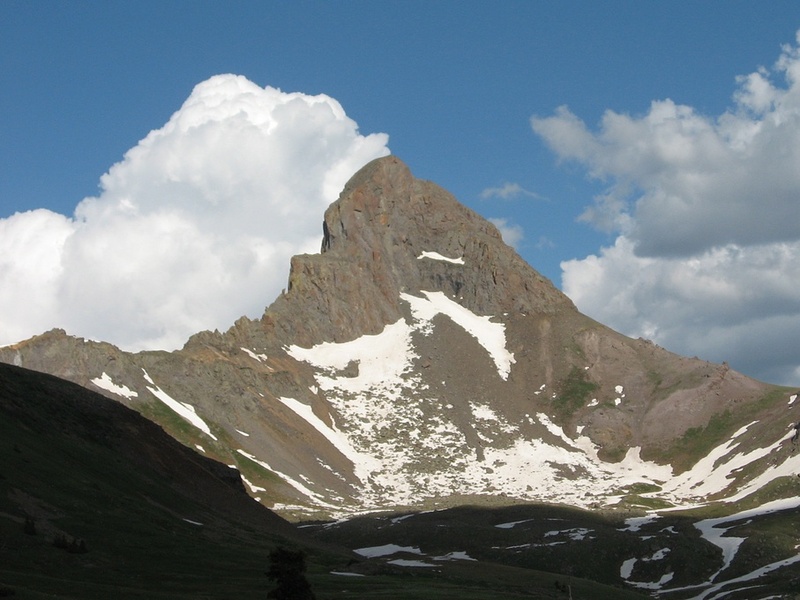 It's a pointed rock spire slightly resembling its namesake peak, whose shape contrasts with the broad bulk of the nearby higher 14er Uncompahgre Peak. 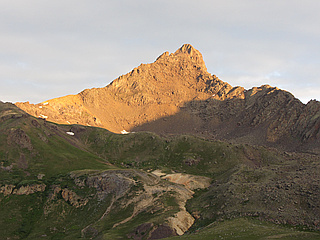 The standard route on Wetterhorn Peak is the southeast ridge and involves some exposed scrambling Class 3/4 on the ridge itself. 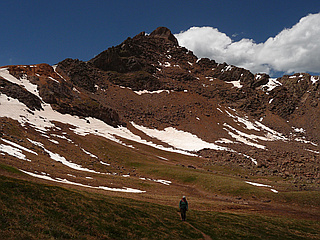 The nearby east face is considered a high-quality advanced snow climb or extreme ski descent.